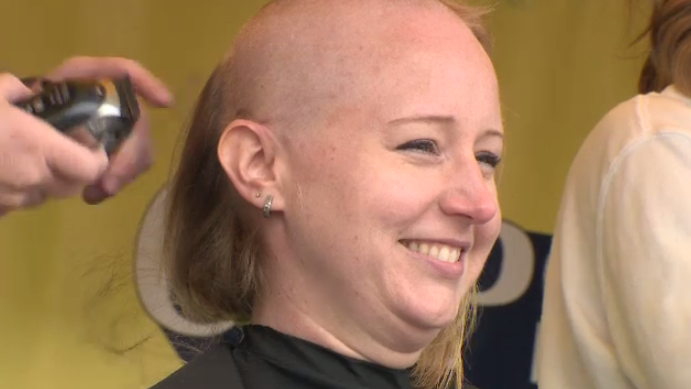 Some Waterloo Regional Police officers have decided to go bald. On Saturday they sat and had their heads shaved at the Cops for Cancer fundraiser at the Children’s Safety Village. The event raises money and awareness for the Canadian Cancer Society. Constable Jeremy Green has volunteered at the fundraiser for the last four years. Altiera Essensa works at the Children’s Safety Village and says she first participated in the fundraiser back in 2009. She had hoped to raise $500 but surpassed her goal, bringing in $885 for the charity.